Rachel and Kirsty are having a great time at the Fairyland Candy Harvest. 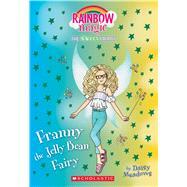 But when Franny the Jelly Bean Fairy's magical object goes missing, all the treats lose their sweetness! Can the girls help save the day before everything turns sour?